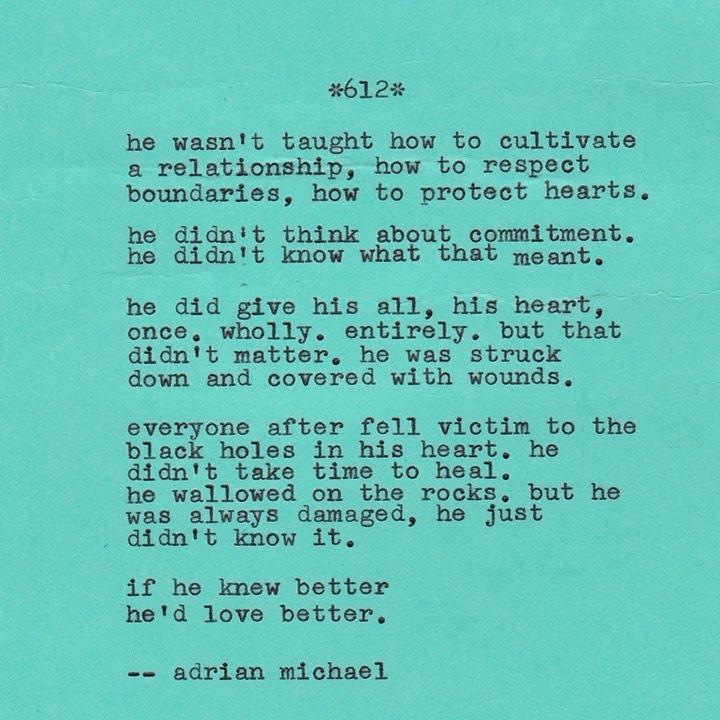 he’d do better if he loved better. wow. another piece from Adrian Michael that strikes a chord. beautiful and heartbreaking.